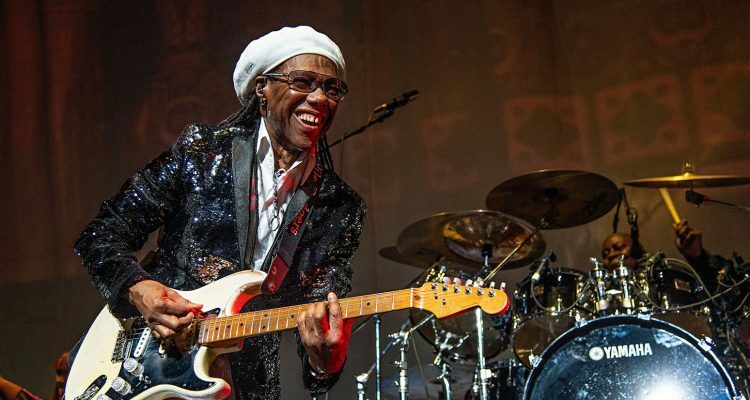 Three-time Grammy award winner Nile Rodgers announced on Monday (February 11th) that he will guest curate this summer’s Meltdown festival in London’s Southbank Centre. He joins the ranks of other influential acts such as David Bowie, Yoko Ono, M.I.A and The Cure to hold the prestigious position. The man who has made hits with the likes of Daft Punk, Disclosure, Sam Smith and more is set to produce a “hand-picked line-up of show-stopping music, art and free events” for the annual gathering, a days-long event that gives prominent musicians the ability to book acts and events at U.K.’s largest arts forum. The Rock and Roll Hall of Famer will take over Southbank Centre from August 3rd to 11th throughout its stages, including the Royal Festival Hall, Queen Elizabeth Hall, Purcell Room and the remainder of the 17-acre venue. Rodgers gave an idea of what fans can expect from his lineup at Meltdown. “Anyone who knows my career knows that Funk, Disco, Jazz, Soul, Classical, POP, New Wave, R&B, Fusion, Punk Rock, Afrobeat, Electronic and Dance music all play a role and you can expect that to be reflected in the performances we are planning,” he stated. “It’s all about the groove and this August everyone in London will be dancing to incredible live performances!” Stay tuned for more information regarding who will play.